So tired, I'm cross-eyed. No new cartoon, but here's one from a year ago, recolored. 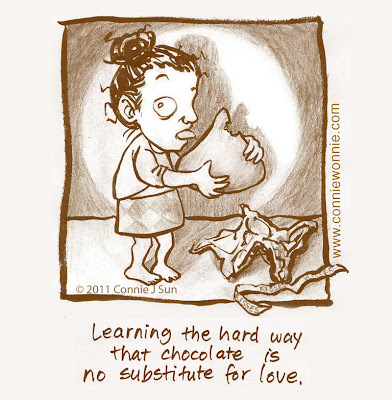 Appropriate because, sometimes, chocolate for dinner is absolutely necessary.